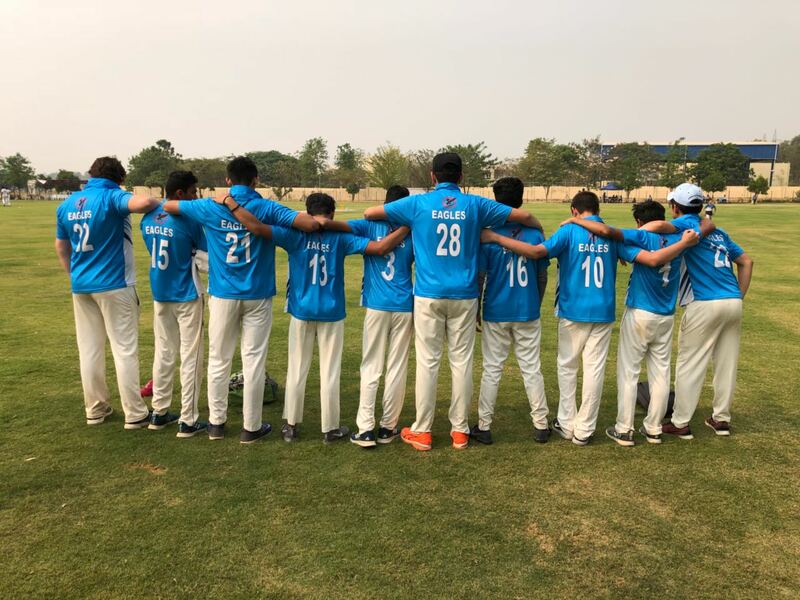 The Cricket Team travelled to Hyderabad on the 8th of March and played two days of competitive cricket with the other ISACI member teams. The boys had a disappointing start to the tournament, losing both the games of day 1 to Stonehill and The British School. 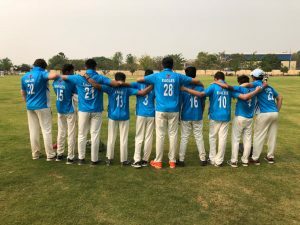 Against the British School, openers Mayank Kabadi 30(32) and Rishabh Raval 28(34) played plucky and resilient knocks; they carried their bats through the innings. However, the bowling let the team down and the game was lost with 7 overs yet to play. The team shrugged off the losses and went into Day 2 with hunger and determination to display their real potential. The first match against ISH saw the MBIS top order of Anmol, Rishabh and Mayank put on a batting masterclass helping the team reach a formidable total of 101 runs in 12 overs. 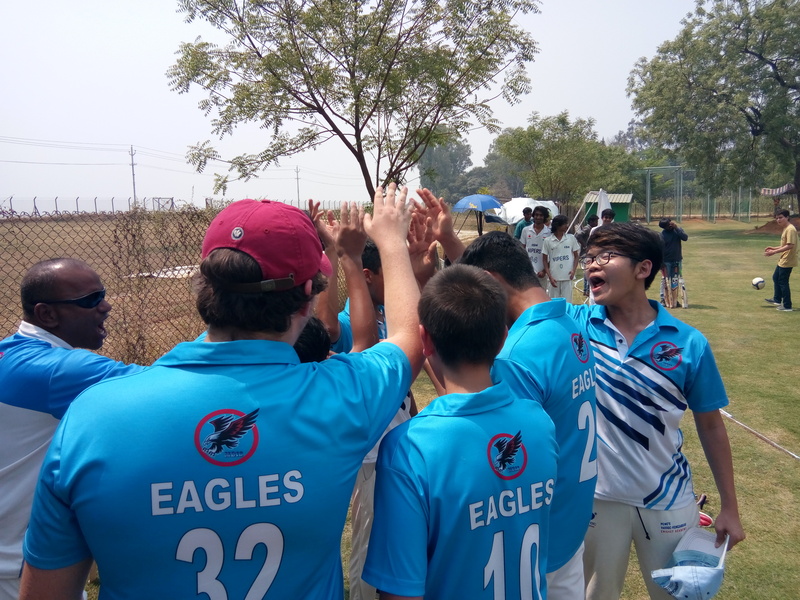 ISH lost wickets at regular intervals but the ISH batters soon built a partnership that started to turn the match away from the Eagles.Two conservative overs and a wicket from Bowler, Kunal Satpute, put MBIS back in the driving seat. The remaining bowlers finished the job off and MBIS won by 9 runs. At the end of the league stage the Eagles came in third place due to a NRR of -0.9, second place ISH had a NRR of -0.8. This ensured a 3rd/4th playoff match instead of the desired championship final. The boys carried the momentum into the last match and beat the Stonehill team comfortably to place 3rd. 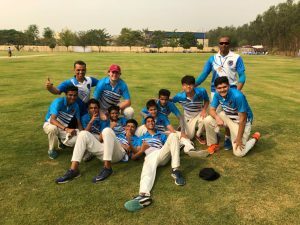 The tournament showed great performances from Parth Salwan, Kunal Satpute and Jay Thombre who batted and bowled admirably. Fielders Siddhved Karkal, Dong Lee, Harvey Jones and Dheer Chhabria strived to save every run and contributed to the wins. Anmol, Mayank and Rishabh carried the batting throughout the tournament. 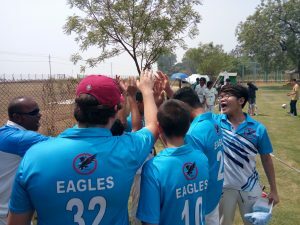 Mayank top scored for the Eagles with 90 runs in 4 games. Anmol got wickets at regular intervals and Rishabh bowled economically. This tournament was the last ISACI event for Mayank Kabadi, Harvey Jones and Kunal Satpute. The team played with only 10 members but our togetherness and team-spirit contributed for the 11th man on the team. This was a truly great tournament that showed our love for the game and fighting spirit. We sincerely want to thank our coaches: Mr Praveen Sharma and Mr. Srinivas Thandrala. They helped us train and prepared us for ISACI Boys Cricket 2018.